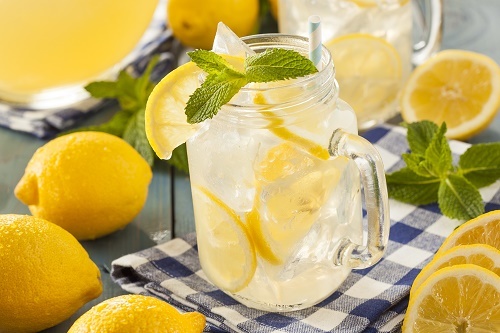 Squeeze 7 lemons into a pitcher and add 3 cups of water. Stir in ½ cup confectioner’s sugar and a bunch of crushed mint leaves. Stir enough to dissolve the sugar and serve chilled.